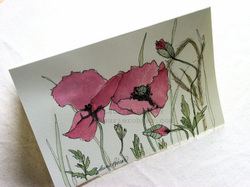 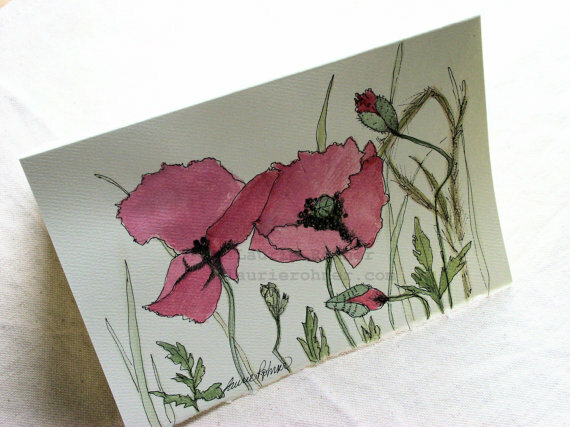 My watercolor red poppies botanical nature art card is blank inside. 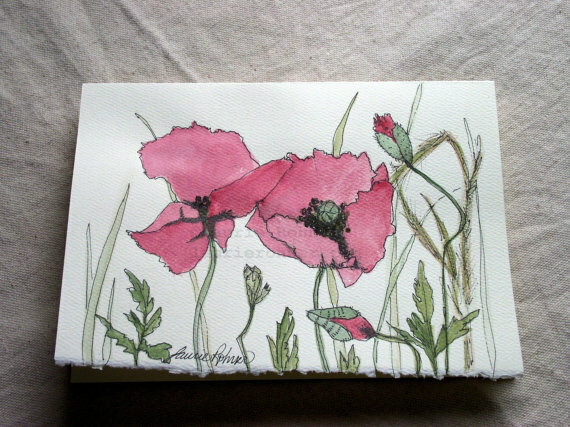 I hand painted this original one of a kind watercolor illustration. Poppies are happy flowers. 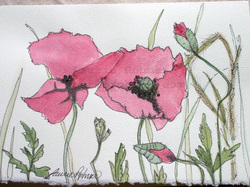 They bloom and last only a short time but what a happy dance they show us in the garden.